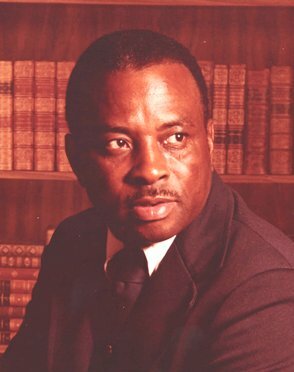 Charles E. Glover, Jr., 87, of Fremont, OH transitioned from this life to his heavenly home with his family by his side on Wednesday, April 3, 2019 at ProMedica Memorial Hospital. He was born May 22, 1931 in Anniston, AL, the son of Charles Sr. and Alice (Colley) Glover. He was a 1951 graduate of Fremont Ross High School where he was known as “Twinkle Toes” on the football team. Charles served in the U.S. Air Force for twenty years, during Korea and Vietnam, where he was awarded the Korean Service Medal; United Nations Service Medal; National Defense Service Medal; Air Force Good Conduct Medal w/3 Oak Leaf Clusters; Air Force Longevity Service Award w/4 Oak Leaf Clusters and Vietnam Service Medal. Charles married Martha Ann Jones on March 30, 1974 in Fremont and she survives. He worked for the Federal Police for twenty-four years as a Federal Security Officer, General Services Administration and Special Agent for the Department of Treasury at the Federal Building in Toledo. Charles was a faithful member of Mount Pleasant Baptist Church where he served as a Deacon and Sunday School Superintendent. He also led Tots Hour. He was a Life member of the American Legion and VFW in Fremont; the F.O.P. and Masonic Lodge both of Toledo; A.C.E. mentor for Fremont City Schools; a mentor for the Sandusky County Juvenile Justice Center. Charles was an avid Fremont Ross Football fan and was inducted into the Fremont Ross Hall of Fame. Charles is survived by his loving wife of forty-five years, Martha Ann Glover, Fremont, OH; children, Ronald and Mark Glover both of Lincoln, NE, Cassandrea (George Jr.) Tucker, Fremont, OH; sisters, Florence (Noah) Chatman, Hampton, VA and Alice Makin, Toledo, OH; grandchildren, Josha and Tosha Glover, Markus and Torrean Finley, Dmitre Aaron; thirteen great grandchildren and a host of nieces, nephews and cousins. He was preceded in death by his parents; siblings, Clarence and Prentice Glover, Betty Carnes, Mary Ruth Turner and Myrtle Tiller. Visitation: Sunday from 2 – 6 pm at Wonderly Horvath Hanes Funeral Home and Crematory, 425 E. State St, Fremont, OH. Service: Monday, April 8, 2019, 1:00 pm at Mount Pleasant Baptist Church, with an hour of visitation at church prior to the service, 927 Stilwell Ave, Fremont, OH. Bishop Pat McKinstry will officiate. Offer Condolences for the family of Charles Edward Glover, Jr.
Gonna miss joking and teasing you! Rest easy cuz! God bless you Miss Anne! I really going to miss you and everything about you, but my memories will remain. Rest In Peace Cuz! My prayers for Cousin Ann and family; God’s peace and comfort surround during this time.